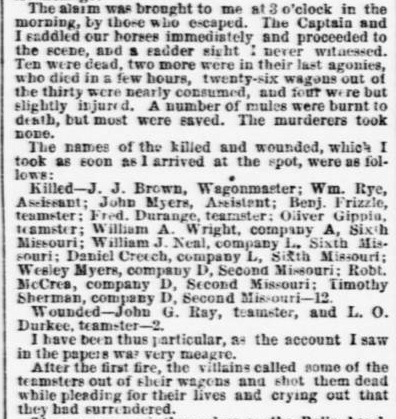 The August 14, 1863 edition of the Daily Missouri Republican contains a detailed account of the Battle of Round Pond and while Union authorities claim it was murder in cold blood, it was not without provocation. 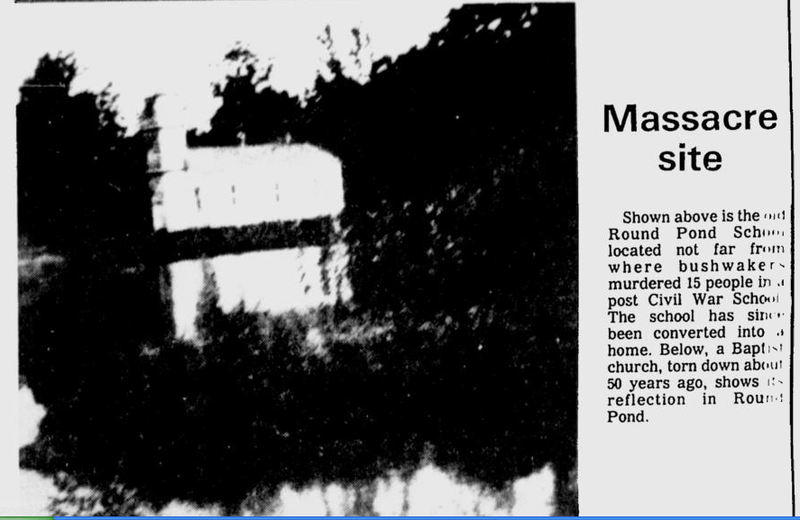 Round Pond was filled in many years ago and no longer exists but I did find a picture of it in the February 16, 1982 issue of the Southeast Missourian Newspaper. 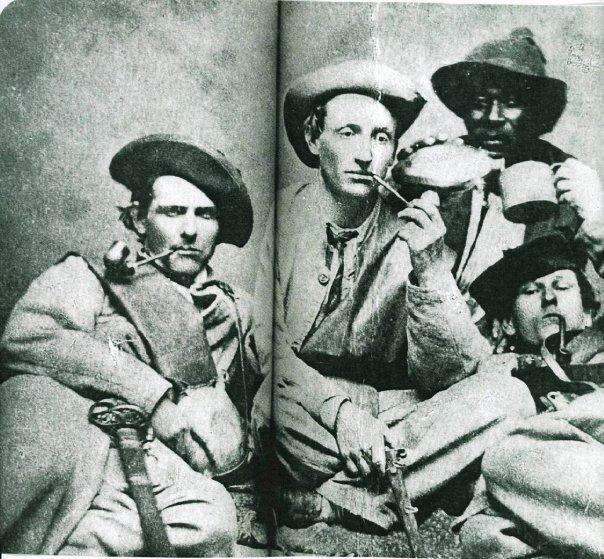 Black Confederates were real and they fought for their country just as their white counter-parts. THEY ONLY PUBLISH THE HISTORY THEY WANT YOU TO KNOW! 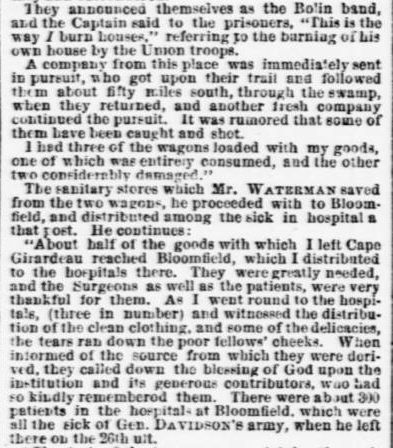 Osceola, Missouri never recovered to its former glory after James Lane raided the town in September 1861. 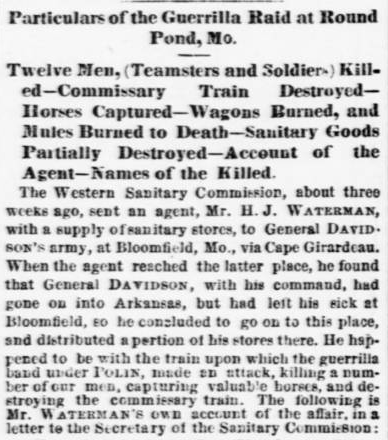 Prior to the raid it was the 3'rd largest city in the State of Missouri. 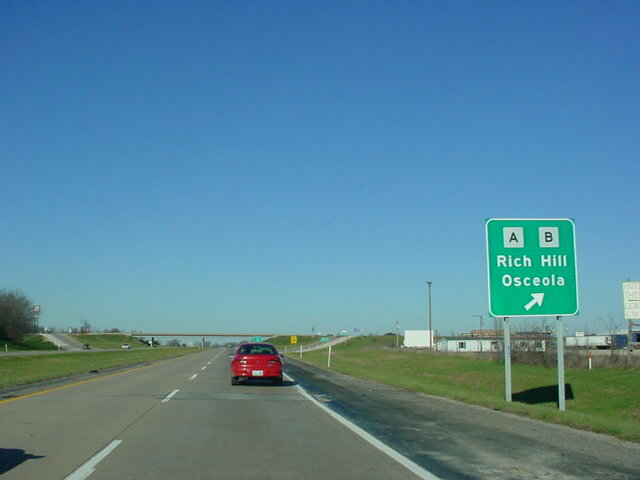 Located on the Osage River, the land that became the town of Osceola was inhabitied by the tribe of native Americans who gave the river its name. Two treaties, in 1808 and 1825, signed by the Osage and the U.S. government gave up all the tribes land in Missouri. With the way cleared for non-native settlers, more people began to arrive in the St. Clair County area in the mid-1830s. The first home was built in the future Osceola in the winter of 1835. The town was the site of the September 1861 Sacking of Osceola by Jayhawkers in which the town was burned and its courthouse looted. The event inspired the 1976 Clint Eastwood film The Outlaw Josey Wales. 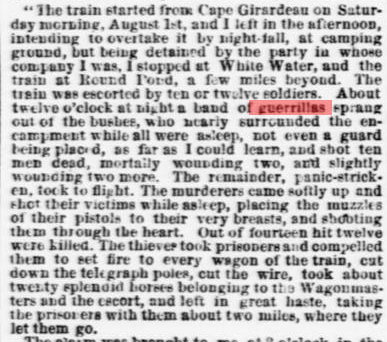 Prior to the attack the town had a population of around 2,500. However less than 200 residents remained after the event and the population has never again approached those numbers. In September, 2011 lingering bad feelings over the raid and the sesquicentennial of the event prompted the Osceola Board of Aldermen to pass a resolution asking the University of Kansas to no longer use “Jayhawk” as their mascot and nickname. Further, the resolution asks Missouri residents to stop spelling Kansas or KU with a capital letter because “neither is a proper name or a proper place”.